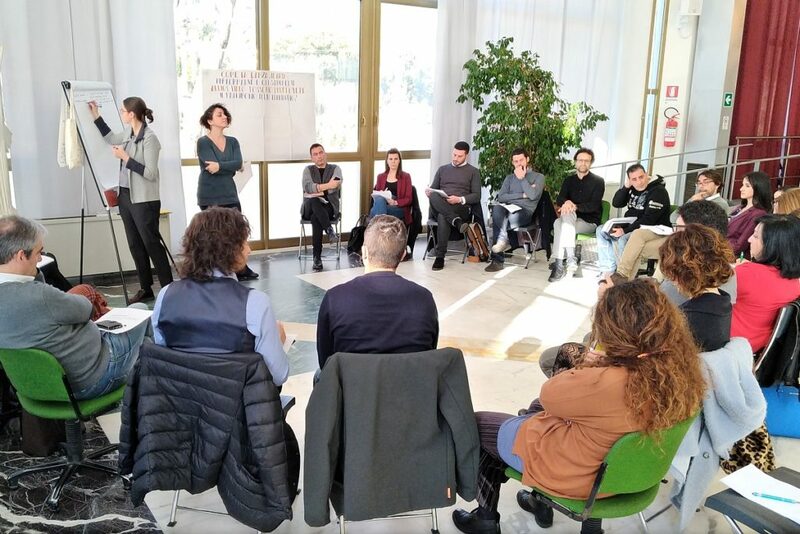 Mercè López and Claudio Prandoni were invited as experts at the LabDay organised by the Fondazione Sistema Toscana in the framework of the European project CultureMoves. The aim of the labday, which involved a large group of participants among artists, cultural associations and representatives of local institutions, was the analysis of good practices for the use of performing arts – and in particular dance – to promote the territory. Claudio and Mercè presented the Europeana digital library and provided ideas and concrete examples of how it is possible to creatively reuse its digital content. CultureMoves is an EU funded user-oriented project that aims to develop a series of digital tools that will enable new forms of touristic engagement and educational resources by leveraging the re-use of Europeana content. For further information see https://www.culturemoves.eu/post/73871077.